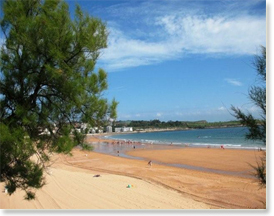 Santander is the capital of the Cantabria region located in Northern Spain. The population of the city is around 200,000 inhabitants, but during the summer months, Spaniards look to Santander as a vacation spot and the population climbs. Santander is known for its extraordinarily beautiful landscape and its coastal location on the shores of the Bay of Biscay. The city combines an urban environment with what is essential in Cantabria: countryside, nature, gastronomy, and culture; but it's the beaches in Santander that are the best known and most appreciated city attraction. 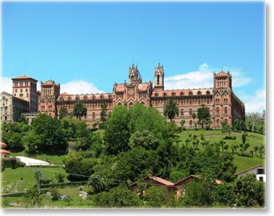 While in Santander students will visit the Cathedral of the Good Shepherd, the Marine Museum of Cantabria, the Magdalena Palace and Park, and enjoy a scenic boat ride on the Bay of Biscay. While in Santander, students will be housed in double rooms with Spanish families. All meals on non-excursion days are provided as well as laundry service once per week while living with host families. Trips to Madrid, Toledo, Bilbao, San Sebastián, and the Picos de Europa are included. The program is open to undergraduate students who have successfully completed either Span 112 or Spanish 123 or Spanish 150, or to students who have placed into a 200-level class via the Spanish Placement Exam. Upon successful completion of the program, students will receive credit for Spanish 223 (6 credit hours). Classes will be held Monday through Friday (4 hours/day).